The Taxi and Limousine Commission released statistics from 2015 showing that Uber cars were involved in more fatal car crashes than taxi drivers. There were five fatality accidents in the last half of the year involving Uber drivers and only one fatality due to a taxi driver. Uber drivers were involved in some 753 accidents that resulted in injuries, but no fatalities. An Uber representative, however, says the statistics aren’t fair because the bad driving could be a result of drivers getting dispatched for other services like Lyft. Whether the accidents were strictly related to Uber drivers or a combination of other services similar to Uber, the statistics are unsettling. People often call on the assistance of an Uber or Lyft driver in a variety of situations, whether they are going to work, picking up groceries, or heading home after a night with friends. They rely on these drivers to get them from one point to another safely. Unfortunately, that may not always be happening. You Hired an Uber Driver and Have Been in an Accident. Now what? While most trips with an Uber or Lyft driver will likely be a safe, positive experience, that isn’t always the case. 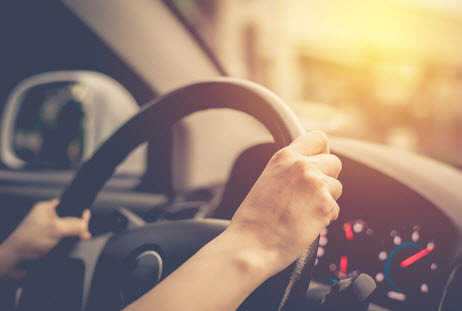 If you have been involved in an accident involving an Uber or similar driving service, there are certain steps you should take to protect yourself. Stay calm. If you’ve never been in an accident before, the experience can be terrifying. If you’ve been in an accident, try to stay calm and take care of yourself. Get medical assistance. If you need to get emergency treatment, don’t hesitate to request an ambulance to get yourself to an emergency room. Even if you don’t feel like you need emergency treatment, it’s always a good idea to follow up with your doctor the next day to get a thorough checkup and have them document what happened. Some symptoms don’t appear for several days or even weeks. Use your phone. If you are able, take pictures of the scene and the cars involved. Use your cell phone to photograph driver’s licenses and insurance information. Exchange contact information with witnesses because they may be able to help your case when it comes time to determine who was at fault. Talk to the police. Make sure the investigating officer knows who you are and that you were riding in the Uber car. Ask how you can obtain the accident report whenever it is complete and be sure to tell the officer if you have any injuries. Don’t make any statements other than what is necessary. Help the police officer when they ask for information, but don’t make assumptions or guesses as to what happened, and never admit that you had any fault in the matter, even if you feel like you did. This might be one of the most important steps if you have been in an accident involving an Uber or Lyft driver. Talk to the Boca Raton attorneys at the Leifer Law Firm who know the laws and can review your case and determine who the responsible party is in your accident. We can help negotiate a settlement with the insurance company if needed or file a lawsuit on your behalf to be sure that you get the compensation and settlement that you deserve.